After two years of development insurtech startup Pineapple is finally set to launch their insurance product — with the startup claiming today in a statement, to have made insurance as simple “as snapping a picture”. 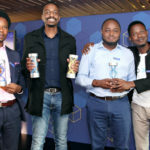 The startup’s co-founder Ndabenhle Junior Ngulube told Ventureburn in an email today that the startup will on Friday hold an activation for the brand in Johannesburg, Pretoria and Cape Town — saying more details would be revealed closer to the time. He was able to tell Ventureburn how premiums would be priced. “Once a user has snapped an image of an item they want to insure, we have artificial intelligence (AI) that recognises what the image is and proceeds to place that image in an appropriate category for pricing purposes — if the AI fails to categorise the item, we allow the user to manually select the appropriate category for the item). We then require the user to enter the value of that item. “Based on this value and it’s associated category — as well as a few actuarial parameters that we take into consideration — we return a premium to the user,” he said, adding that compared to the industry at large, Pineapple’s premiums are market-related. 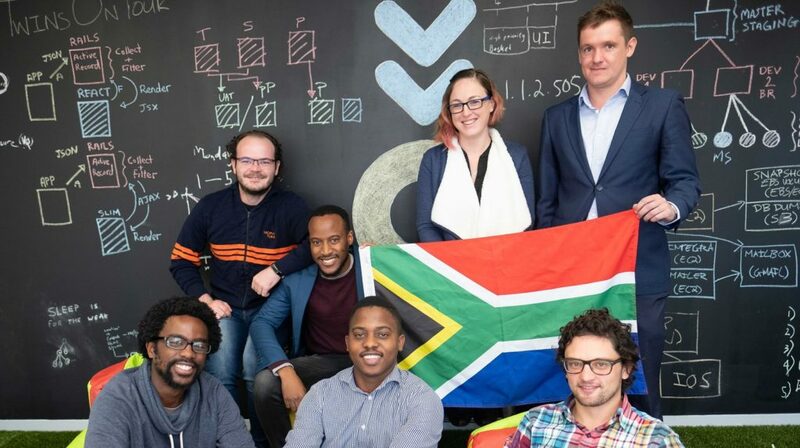 The announcement today comes after the Johannesburg-based startup in August last year announced that it had secured R5.2-million in seed funding from Lireas Holdings, the strategic investment arm of Hannover-Re Group Africa, in return for a 25% stake in the business. In June Pineapple co-founder Marnus van Heerden told Ventureburn that the startup’s product would initially be made available to the 4000 users who had signed up for the product through the company’s website. The startup plans to follow this up a week later with a launch to the general public, he said at the time. In the statement today, Pineapple co-founder Matthew Elan Smith said the startup’s insurance cover allows members to retain those premiums that are not used for paying claims. In addition, members can track in real-time exactly how their premiums get used on a cent-by-cent basis — in what Smith termed “a completely transparent experience”. Pineapple claims what differentiates itself from other insurers is that premiums paid are deposited into each member’s individual Pineapple Wallet. This premium deposit gives members full insurance cover. When a claim is paid out, the wallets of all those members in a member’s network contribute in a small way to help pay the claim. Members can withdraw all unused deposits each year, in cash. The startup claims that its use of artificial intelligence (AI) and decentralisation allows members to take control of how their wallets are used by connecting, “in a Facebook-like fashion”, to other Pineapple members they trust. This helps members to protect themselves against the fraud epidemic currently “rotting the insurance industry”, said the startup. Fellow co-founder Marnus van Heerden pointed out that should all wallets in a member’s network be depleted, a client still has comprehensive cover. In the situation where a wallet is not depleted, members get to keep all the leftover funds in cash each year, on top of the comprehensive cover they already enjoy, noted the startup. Added Van Heerden: “It will be a no-brainer for people to adopt this simple and easy way of getting insured”. Since announcing the concept in September last year, Pineapple says it has picked up a social media following of over 35 000 South-Africans. Pineapple says it offers comprehensive cover on individual items such as laptops, cell phones, sporting equipment, cameras, couches, TVs, drones, bicycles and more. Motor insurance is currently being developed and will soon be part of Pineapple’s offerings. The app for both IOS and Android is available for download. Pineapple is an authorised financial provider and is underwritten by Compass Insure. Editor’s note (25 July 2018): This article was subsequently updated to include how a comment from Pineapple co-founder Ndabenhle Junior Ngulube on how premium’s would be calculated. “guerilla marketing” campaign in SA history. It involved 100 people, mostly students from Stellenbosch, Pretoria and Johannesburg. To commemorate the number of Instagram followers that the startup had accumulated, 35 000 Pineapples were handed out. The team hid a golden ticket in one of the Pineapples and another in the app. The winners will win a trip to the home of the pineapple – Brazil. The winners had not been announced yet, when this note was added.